ACVM allows your business to avoid shipping delays due to inaccurate addresses and ensures your customers receive their orders on time. Dydacomp ACVM users should have received an email this week informing them of the new option to download the latest shipping address update from UPS. The Dydacomp team has also sent out the ACVM data disk in the mail to ensure that all customers have access to the new shipping address information before the January data expires at the end of this month. Don’t have ACVM module for your M.O.M. system? The Address Correction and Validation module (ACVM) will compare key-entered, imported shipping and mailing addresses against actual USPS® data. The ACVM service can be used not only on individual addresses but to validate target customer lists created in the List Management Module (LMM). There are a number of necessary expenses needed to run your business, but address correction fees should not be one of them. Avoid shipping address issues before they arise with the Address Correction Validation Module. The Address Correction and Validation module (ACVM) relies on verified Address Data directly from the United States Postal Service that is updated each quarter to ensure accuracy. With the click of a button, easily compare key-entered, imported shipping and mailing addresses is against actual USPS® data in real time. This comparison will help ensure that all of the addresses you send packages to are valid and accurate every time. In today’s competitive eCommerce marketplace, let ACVM help you improve customer satisfaction and reduce address correction fees today. Don’t let your business reputation suffer when ACVM can easily increase the validity of your customer address database. For more information about Dydacom’s ACVM module, click here. To contact sales to learn more about adding ACVM to your M.O.M. system today at (800) 858-3666 or email us at sales@dydacomp.com. Dydacomp has just mailed the most recent Address Correction Validation Module (AVCM) update so keep an eye out for the disk in the mail. All M.O.M. users with ACVM should keep an eye out for the update in the mail. The January 2012 release from the USPS will provide the most accurate addresses to date and ensure that your orders are shipping to accurate locations. These updated addresses will be valid for three months until we send out the next batch of updates in March 2012. Don’t have ACVM module for your M.O.M. system? The Address Correction and Validation module (ACVM) will compare key-entered, imported shipping and mailing addresses against actual USPS® data in real time. This comparison will help ensure that all of the addresses you send packages to are valid and accurate. Address correction fees can end up costing your business about $15 per mailing adjustment. These fees can leave you frustrated and with the decision whether your business will simply absorb the costs or charge your customer. ACVM also allows your business to avoid shipping delays due to inaccurate addresses to ensure your customers receive their orders on time. The ACVM service can be used not only on individual addresses but to validate target customer lists created in the List Management Module (LMM). There are a number of necessary expenses needed to run your business, but address correction fees should not be one of them. Avoid shipping address issues before they arise with the Address Correction Validation Module. 2012 is here to stay and it is that time of year to update your Multichannel Order Manager solution to ensure you have the latest shipping rates published from the top shipping carriers. Both FedEx and UPS implemented new rates as of January 2, 2012 and the U.S. 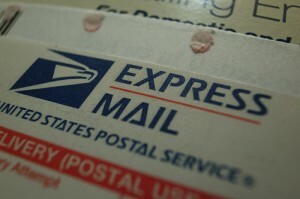 Postal Service will follow with new rates effective January 22, 2012. All these updated rates can be found in the latest shipping rate update. 1. Download and install the latest ‘program update’ for the M.O.M. software. Note: M.O.M. 6.x, 7.x, and 8 Users should use the M.O.M. Auto Update Feature. 2. Download the latest shipping rates. We strongly recommend that you process any unbilled orders prior to performing the Shipping Update. The Shipping Update will change actual shipping charges to reflect the latest rates. We also recommend that you back up your M.O.M. system prior to running any updates. To help you ease the transition and easily update your rates in M.O.M., we have prepared detailed, step-by-step instructions so that you can perform these steps and implement the required updates on your own. The documentation can be accessed via the shipping updates section of the support site or by clicking here. To view a video that demonstrates how to perform the shipping rate update on M.O.M. 6 and higher, click here. If you have any difficulty with installing these updates, Dydacomp Technical Support can be reached via e-mail at Support@Dydacomp.com and via phone at 973-237-0300. Dydacomp has just mailed the most recent Address Correction Validation Module (AVCM) update. All Multichannel Order Manager users with ACVM should keep an eye out for the disk with the new updated data in the mail. You should expect the data by the end of this week or beginning of next week. The July 2011 release will expire on October 28,2011 and the new data from the USPS will provide the most accurate addresses to date. These updated addresses will be valid from October 28,2011 until January 28, 2012 when we will be send out the next batch of updates. Interested in adding the Address Correction Verification Module for your M.O.M. system? ACVM will compare key-entered, imported shipping and mailing addresses against actual USPS® data in real time. This comparison will help ensure that all of the addresses you send packages to are valid and accurate. On August 8, 2011 a notification was sent by Dydacomp informing all users that the fix for the Address Correction and Validation Module (ACVM) was available. The resolution was to update M.O.M. with the program update released on August 5, 2011 (executable build date of 08/03/11). As a result of changes in the August 2, 2011 program update (executable build date of 08/01/11), some users reported intermittent issues when validating addresses upon import. Those issues that were encountered met specific conditions that may not apply to all customers. These users were given a temporary resolution. Dydacomp has resolved this issue in the latest program update released August 10, 2011 (executable build date of 08/10/11). It is recommended that all users update their M.O.M. system. Please make a successful backup prior to updating M.O.M. Download the newest executable by logging into the support section of Dydacomp’s website. Thank you for your patience and we apologize for any inconvenience this issue may have caused. If you have any questions or concerns, please contact Dydacomp Technical Support. The Support team is available Mon – Thurs 9 AM – 6:45 PM EST and Fri 9 AM – 4:45 PM EST by calling 973-237-0300. You can also contact Support via the online ticketing system by clicking here. Posted by: Michael Nardini, VP of Customer Satisfaction. The Dydacomp Team has been hard at work to resolve the recent issue that arose with M.O.M.’s Address Correction and Validation Module and USPS. The issue has been successfully identified and Dydacomp developers are currently finishing up final testing on the resolution. Keep an eye on your email inbox as the release will be available early next week and we will distribute instructions for resolving the error. New ACVM disks will be sent out next week as well. Again, we sincerely apologize for any inconvenience this may have caused your business. 2. Choose Shipping Updates on the left menu. 3. Verify that your version of M.O.M. is selected on the left menu. 4. Click the “Go” button. 5. Click on the link Shipping Rates Instructions and follow the directions in the document. One thing to keep in mind before updating is we recommend that you process any unbilled orders prior to performing the Shipping Update. The Shipping Update will change any unbilled shipping charges to reflect the latest rates. Since First Class is now separated with their own rates, the package type will now depend on what the shipping method selected for a box, and what the shipping method is setup to charge. Added the Media Mail Commercial for single piece mailings through USPS. Parcel Post/Parcel select rates have been split into two. Now Parcel Post/Parcel Select methods will default to Retail. The Postage Statements paperwork will print at the shipping stage. We have changed the postage statement to accommodate the new rates that are added to First Class. Check out this article on M.O.M. User Forum for a complete guide to the USPS changes made in the update. If you have any difficulty with installing these updates, please contact Dydacomp Technical Support via e-mail at Support@Dydacomp.com or via phone at 973-237-0300. This holiday season has shown an improvement over the past year’s holiday spending, which means shipping companies have seen the busiest season yet. FedEx has already announced that December 13 will be the busiest day in company history as they expect to ship 16 million packages around the world. UPS estimates that they will ship 23 million packages on its busiest day of the year, December 22. December is already in full swing and the shoppers are rushing to finish up their holiday shopping online. Many customers have responded well to the many holiday promotions and free shipping offered by retailers this year. However, there is still plenty of time for shoppers to make purchases and still have their packages by Christmas Day. You want to make sure your customers realize that shipping companies handle more and more packages as the holiday season draws to an end so they don’t want to wait too long to shop. Informing your customers and ensuring they understand how long it will take your company to process orders before they are handed off to shipping companies is important to keeping customer satisfaction high. You want to make sure your customers are fully informed throughout the order process and are able to track their packages from start to finish. This prevents any issues arising due to lost packages or failing to deliver packages when customers “assume” they should arrive. To keep the customers informed, provide them with the various deadlines that shipping companies are created to ensure packages are delivered by Christmas Day. This prevents any surprises from arising as the deadlines are clearly laid out and allows you to charge a higher shipping rate if customers wait too long and need to rush shipping. Wed. Dec. 15: Deadline for “Parcel Post” through U.S. Postal Service and FedEx’s “SmartPost” shipping methods. Wed. Dec. 22: Deadline for “2nd Day Air” through UPS, USPS’s “Express Mail” and FedEx’s “2Day” to ensure that your package gets to its destination by Christmas Eve. Thurs. Dec. 23: Ultimate deadline to ship a package and have it arrive before Christmas. Packages shipped with UPS’s “Next Day Air” and any type of overnight shipping through FedEx will arrive on the 24th. However, FedEx does appear to have same day shipping option for the 25, but there is a high charge attached to this service. How have you kept your customers informed about shipping deadlines? Have you coordinated your any of your holiday promotions to fit these deadlines? *Congress passed a law two years ago that the USPS could not raise rates in any single year higher than the Consumer Price Index. The USPS was granted, however, the ability to plead an “exigent case” meaning that in extreme cases they could present their point of view to the PRC to get an exception to raise rates higher than the CPI. The first test of this was this year. The Postal Regulatory Commission (PRC) this morning unanimously denied the US Postal Service’s (USPS) request to enact “exigent” price increases in 2011. The PRC said the USPS failed to justify an average 5.6% rate increase. DMA praised the PRC’s decision, having led efforts on behalf its members to encourage the PRC to reject the USPS request for an unlawful and exorbitant rate increase. The requested rate hike would have increased postal rates by nearly ten times the rate of inflation, requiring customers to pay an additional $3 billion annually for postage despite the current rate of inflation remaining close to zero. The PRC decision requires the Postal Service to continue following the current law, which limits any postage increase to the rate of inflation. USPS must now make critical decisions to cut costs and right-size its network and workforce. As it conducts negotiations with many of its employees, the Postal Service must not lose sight of the fact that its financial well-being – and that of its customers – depend on immediate and significant cost reductions. The PRC’s statement, order and press release. The Affordable Mail Alliance’s press release.